No matter how well your consultants and contractor's prepare your building pad and construct your home, if proper drainage is not addressed your investment as well as your safety can be in jeopardy. 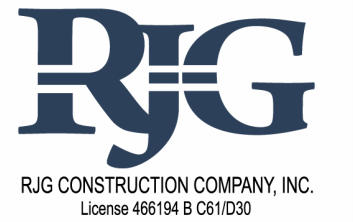 Every year RJG crews are dispatched on an emergency basis to provide temporary erosion control, slope cover ups, and flood water control measures. Often times we are contacted after substantial damage has already occurred to the property. Protect your investment by having one of our experts inspect your property and assist in providing appropriate drainage improvements before damage occurs. 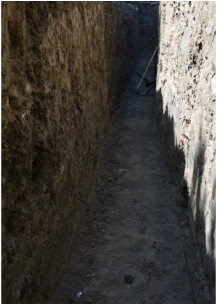 A french drain may be required when there are surface water problems such as a soggy lawn or you are working on building a retaining wall on a hillside. French drains provide a channel for water to easily flow through. 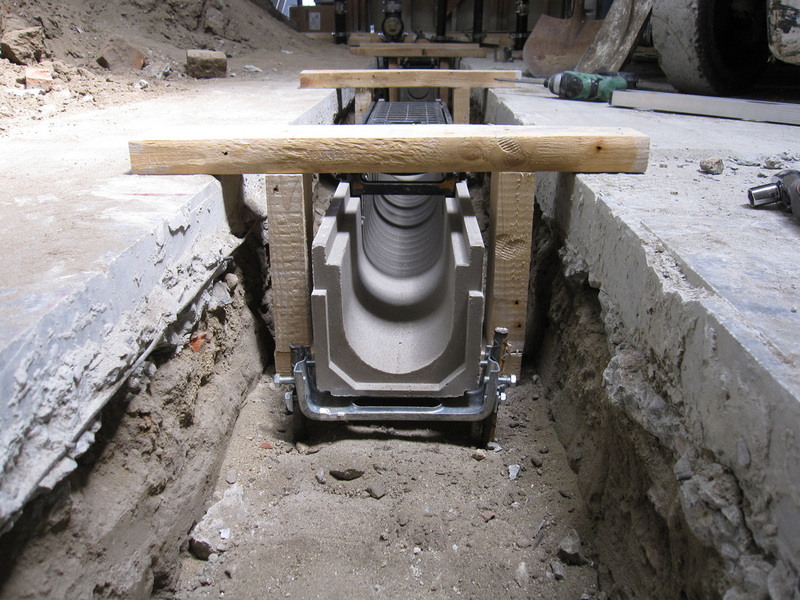 With this style drain, water runs into a gravel filled trench, then into a perforated pipe at the bottom of the trench. The water will then flow freely through the pipe and out to a safe distance from the structure. When building a retaining wall, these are necessary in order to avoid water building up behind the wall which could undermine it. These are simply shallow ditches used to carry off water. Swales and V-Ditches are relatively easy to install and have little required maintenance after installation. 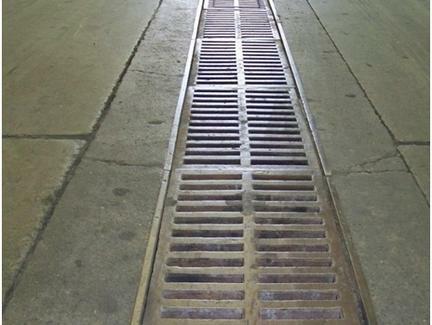 Trench drains are used to evacuate water rapidly, and use a solid cover or grating that is flush with the adjoining surface. The concrete and polymer liner is used for channel crafting and slope formation. 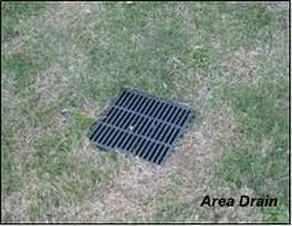 Area drains are a simple improvement that can provide substantial protection results. Ponding water adjacent to building foundations has been found to be the prime contributor to foundation settlement issues. By installing a simple system of buried pipe, and surface collectors, you can divert the ponding water to a location where it can be safely dispersed. 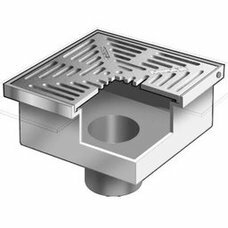 Additionally, such drainage systems can be used to transfer water from gutters and down spouts to the street or other locations where water can be dispersed without damaging property.